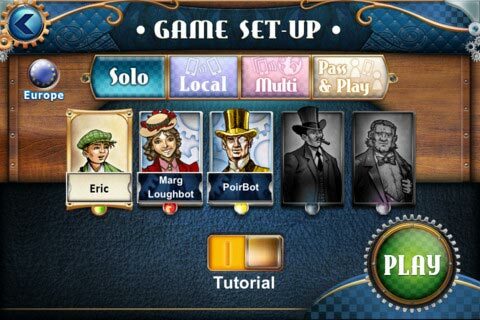 This digital adaptation of the best-selling Ticket to Ride Europe board game is designed specifically for the iPhone and iPod Touch. 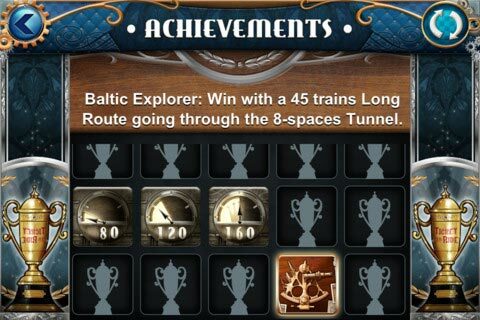 Play across the expanse of the European map, testing your mettle against friends and bots alike with Tunnels, Ferries and Train Stations. It's a trip to Europe that fits in your Pocket! I’m pretty much grabbing whatever board gaming app I see on a regular basis now and think it’s a great way to fill my lunch break or oil change wait. 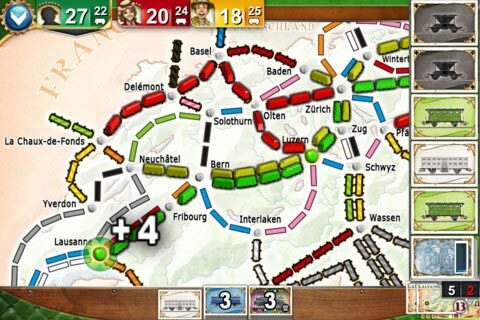 When I saw Ticket to Ride Europe was available I grabbed it right away, and now I kind of wish that I would not have. Two reasons, one I think I paid a bit more to get it right away. Second, its not that much different than the original game app. I find this second point a bit perplexing because I would prefer the Europe board over the USA board on the table, but in an app I vote for the USA map. I think the main reason for this is because the geography of it all. With a map I am accustomed to since 1st grade I can pick out major cities from a 4” screen, but with Europe it’s a bit more difficult. This is especially so on the trek over to England where the congestion really builds it can be difficult to see the routes and I have more than once thought I completed a route only to realize at the end that I did not. I will also point out that is my fault because there are other icons on the app that show you what routes you have left. Perhaps if I was more accustomed to the Euro map this would not be as much of a problem, and I’m sure on an iPad it is less of a problem, or of course if you are from Europe, but… `Merica! The game still looks great with vibrant colors and the bots and extra downloads are great. The bots are smart, but any more the bots are always smart. I don’t know my geography very well. The map is a bit small for the congestion that takes place in a few areas. The train station mechanic has not always worked for me as I would like. Overall, I think the app is a good to great version of the game. However, I would suggest only purchasing one of the apps, not both. You will get enough of what you are looking for in one of that apps that the other is not necessary. 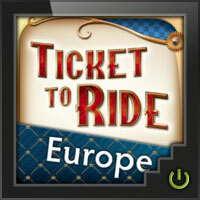 Add a Review for "Ticket to Ride Europe Pocket"